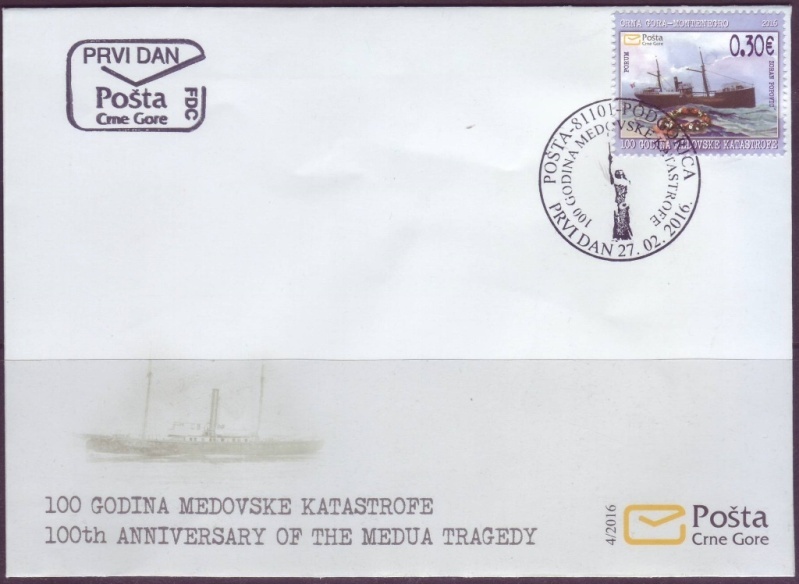 This single stamp, issued on Feb. 27, 2016, with low face value of 0.30 euro, come little bit as surprise, because it remind us of WWI Marine tragedy, that happened near Albania coast, and caused by Allied forces, so some kind of "collateral damage" that cost too much human life. Originally named as "100th Anniversary of the Medua Tragedy", showing us Brindisi (Italian steamer) ship, informing us, that board was 540 volunteers, from which just 145 are rescued. reason was Allied forces mine, that struck this ship. 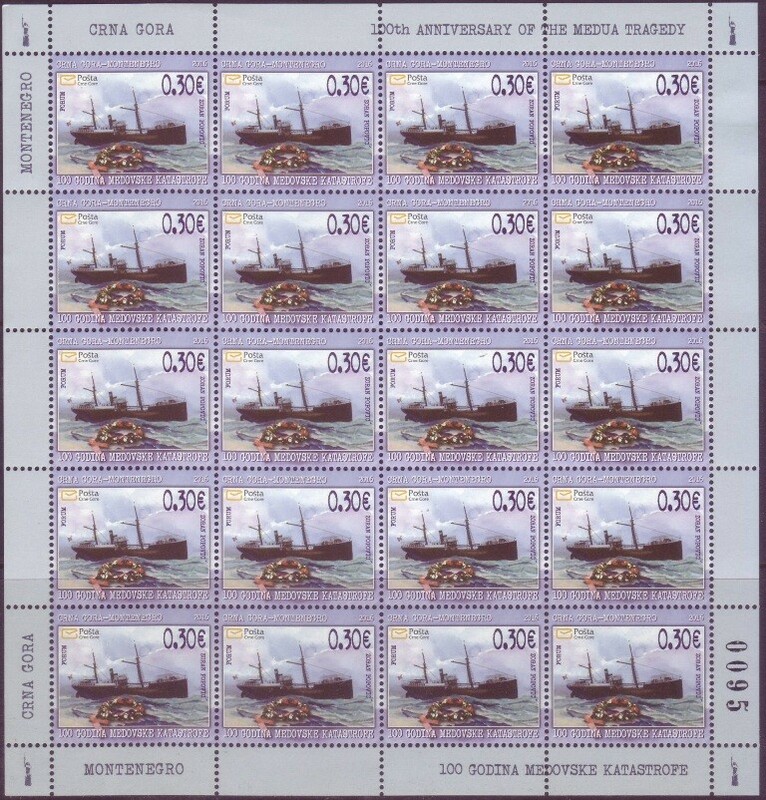 Design come as little bit improvement, as here we have clear drawing and visibility of ship so, no need for lens to see it, so we can say, that stamp will be nice addition in every "Marine", "Ships" collection, more than that, it can be included in WWI specialized collection, so, demand will be in rise, as I think. Face value of 0.30 euro per one sample, is affordable, but small sheet of 20 will cost You between 18 to 20.00 euros, and FDC (which are usually made in very low quantity), will be hard to find around as I see, no one offered it on web auctions.